Now you can have it all... with the New Hebrew Productivity Bundle designed exclusively for Microsoft Word. Get these Essential Microsoft Add-ons for Hebrew Desk Top Publishing and make your life easier. To start, you get an amazing collection of 150 Hebrew Fonts that will make your documents stand out and be noticed. Beautiful Fonts like, Script and Rashi as well as Stam and Narkis. With 150 Fonts you can be sure you documents will always be perfect. 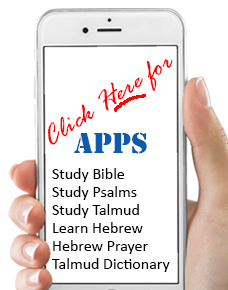 This Suite includes our ever popular Hebrew English Digital ClipText Library. With it you will save umpteen hours of typing. To get the Text you need just click and the text you need drops into your document. And if you need the Translation in English - just click again and you'll have it all neat and accurate. Plus this Bundle includes the very much needed Hebrew English Spell Check with Word Training Feature no more typos and other embarrassing mistakes. This Spell Checker will check for Hebrew and English in a single pass. And for those needing Yiddish, we included our popular Yiddish Dictionary for MS Word, it too will check for Hebrew English and Yiddish in a single pass. All these programs integrate with MS Word and work on all versions of Word from Word 2003 and higher. You will love this software - it will save you umpteen hours of typing and make sure your Hebrew English Documents are letter perfect. Make sure to check out our Nakdan Auto Vowel Bundle as well.